Rice has become a strategic and political crop in many African countries. The hikes in rice prices since 2007 have shown the vulnerability of many African countries that depend on the world market for rice imports and the need to boost Africa’s domestic production. ‘Realizing Africa’s Rice Promise’ – published jointly byCABI and AfricaRice and edited by Marco C.S. Wopereis, David E. Johnson,Nourollah Ahmadi, Eric Tollensand Abdulai Jalloh – provides a comprehensive overview of the rice sector in Africa and the ongoing rice research and development activities in the region. The book discusses challenges and opportunities related to sustain ably increasing rice production and rice productivity; enhancing rice quality and marketing; promoting conducive policies for smallholder and agribusiness development; and strengthening impact-oriented rice research, extension and knowledge management. It also indicates priorities for action on how to realize Africa’s rice promise, i.e. the notion that Africa has sufficient land and water resources to produce enough rice to feed its own population and, in the long term, generate export revenues. The analyses and case studies presented in this book will be a valuable resource for researchers, development agents from public and private sectors, rice value-chain actors and policy makers concerned with ‘Realizing Africa’s Rice Promise’. 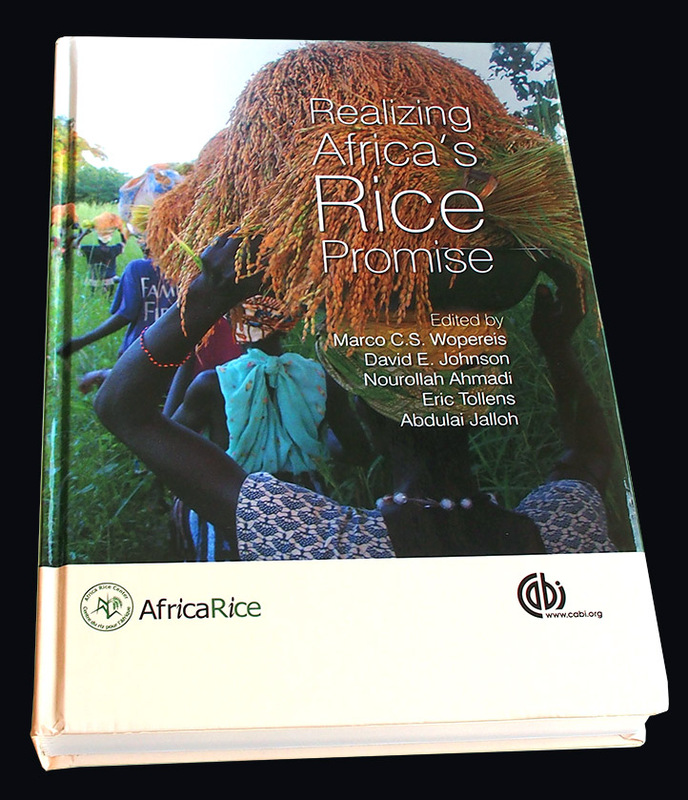 For specific topics in this book, visit www.AfricaRice.org/rice-promise. ‘Realizing Africa’s Rice Promise’ was released during the 3rd Africa Rice Congress 2013 in Yaoundé, Cameroon in October 2013. For copies, please contact CABI Bookshop.